MARCH 28,2019 (Debert, Nova Scotia, Canada) – The Peerplays Blockchain Standards Association (PBSA), a non-profit organization that supports the development of provably fair gaming on the Peerplays blockchain, is proud to announce its partnership with cryptocurrency exchange P2PB2B. The agreement will allow PPY to be traded on their innovative platform, which works to the benefit of its users in order to make trading more convenient and safe. P2PB2B is one of the world’s leading cryptocurrency exchanges, regularly ranking within the top 20 by traded volume, according to CoinMarketCap. Peerplays is a decentralized, provably fair global gaming platform built on the most advanced blockchain technology available today, bringing a new paradigm of fairness, speed, transparency, and security to the global gaming industry at significantly reduced costs. The launch of the first DApp (Decentralized Application) on the blockchain was announced in June 2018 through BookiePro.fun; a decentralized sports betting exchange that leverages play tokens and was the first public showcase of provably fair sports betting in history. Additional DApps are being developed by community members around the world ongoing. “Peerplays has been scaling up its exchange presence of late, and a listing on P2PB2B is a significant step for the project,” says PBSA President and Peerplays founder Jonathan Baha’i. “PPY tokens will now be easily tradable and more accessible among the global cryptocurrency community. “The PPY token confers a range of benefits to holders, allowing them to participate in the Decentralized Autonomous Cooperative (DAC) gain participation rewards from every DApp running on the Peerplays blockchain. Last month, PPY tokens were added to two other major exchanges, IDAX and Exrates. Peerplays Blockchain Standards Association (PBSA) is a non-profit organization registered under the Canada Not-for-Profit Corporations Act. 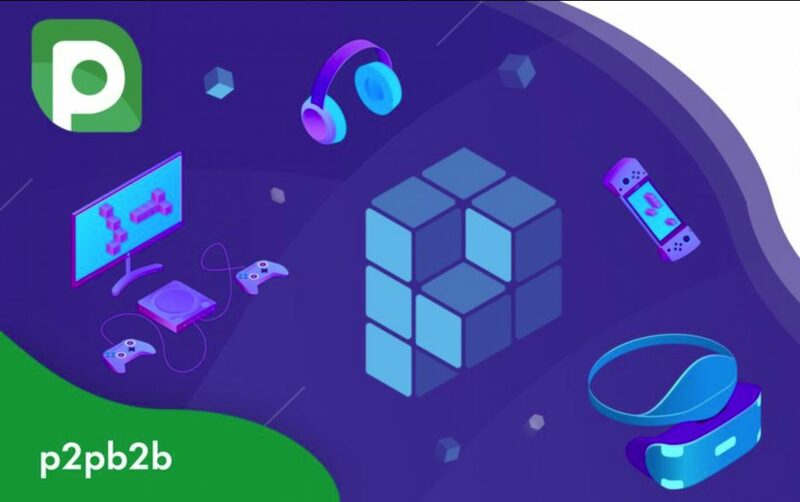 PBSA promotes provably fair gaming standards for the Peerplays blockchain globally, by encouraging and supporting the development of the Peerplays blockchain and related infrastructure for the benefit of the Peerplays blockchain. It also conducts supporting research pertaining to the Peerplays blockchain, promotes awareness and education, engages in advocacy with relevant industry bodies, and provides assistance and funding with other activities that support the Peerplays blockchain. For more information visit www.pbsa.info or www.peerplays.com. Get it first. Keep up with the latest news. © Copyright PBSA . All Rights Reserved. Who Is Influencing the Conversation on Blockchain? Twitch No Longer Accepts Bitcoin — Why? Jonathan Baha’i is an entrepreneur with more than 20 years of experience in the high performance server hosting and telecommunications industry. In early 2016 he founded the Peerplays blockchain and has successfully lead its development and launch with a current market capitalization of $40m. He successfully raised over $10m in Bitcoin funding for its ongoing development and then in 2017 founded eXeBlock Technology Inc.,a designer of custom, state-of-the-art blockchain based software applications that provide profitable, secure and efficient solutions to businesses and markets globally. With these recent accomplishments, he has become the foremost authority in the space of provable fair blockchain gaming. Peerplays is the world's first decentralized, global betting platform. Built on a foundation of Graphene technology, the peer-to-peer betting platform brings a new paradigm of fairness, speed, transparency and security to players around the world. Peerplays is overseen by the Peerplays Blockchain Standards Association, a non-profit that’s dedicated to provably fair gaming in online gaming and on the Peerplays blockchain. The Peerplays Blockchain Standards Association (PBSA) was formed in 2016 as a non-profit organization dedicated to promoting provably-fair gaming standards for the decentralized Peerplays blockchain. PBSA supports technological research developments on the blockchain that benefit the gaming industry and the general public on a global scale. Don't miss out on important updates and discussions about Peerplays!